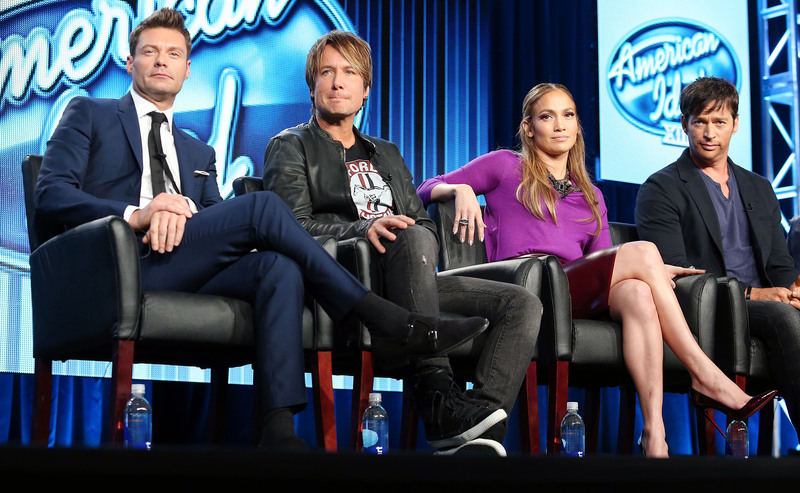 Tonight is the first round of auditions for the 13th season of American Idol. One of the most famous talent shows in the history of television, American Idol changes judges like most of us change underwear. While host Ryan Seacrest has never parted in the last thirteen years, tonight marks the return of judges Keith Urban and Jennifer Lopez, who took a brief hiatus from the show. The two will be joined by newcomer, Harry Connick, Jr.
More importantly, the show has also seen its fair share of the talented and the talentless. With 12 seasons in the bag, audiences have been entertained by over 240 contestants and countless hopeful auditioners over the last decade and a half. While we all have our favorite moments (the memory of William Hung's "She Bangs" still causes a chuckle), there are specific performances that outweigh all the rest in vocal ability, stage presence, and overall star quality. Let's take a walk down memory lane and revisit the best performances in American Idol history. The third season winner of American Idol, Fantasia Barrino captured audiences with her sultry version of this Broadway classic. 2. Elliot Yamin: "A Song For You"
Elliot Yamin's smooth R&B stylings won him the third spot on American Idol's fifth season and a spot in the American Idol Performance Hall of Fame with his performance of the classic ballad, "A Song For You." 3. Katharine McPhee: "Somewhere Over The Rainbow"
Katharine McPhee's strong vocal performances throughout season five of American Idol were enough of an indication that she would go far on the show, ultimately winning second place. However, it was this subtle rendition of "Somewhere Over The Rainbow" that really won us over. 4. Adam Lambert: "Mad World"
Season eight's Adam Lambert was great at putting on a show, but we especially fell in love with his moody rendition of "Mad World." Lambert went on to place second in the season and has had quite a successful music career since his Idol days. 5. Joshua Ledet: "It's a Man's Man's Man's World"
The vocals, the suit, the trumpets. There were so many elements that blew this performance of "It's a Man's Man's Man's World" out of the water. It's not a man's world, but it was certainly one of the best male performances in the show's history. Probably the most impressive performance in American Idol history and hailed as one of the best performances from the show by the judges themselves, Candice Glover's perfect performance of The Cure's "Lovesong" from Season 12 will send chills down your spine.